Would shifting or over rotating the lower body during the backswing also affect the swing path / body tilt and the ability to rotate in the downswing and follow through? I often feel like my front (l) leg is collapsing down or sliding inside as I turn back…and that this puts me in a position (when starting g my downswing) that makes it difficult to get the rotation and find those downswing belt buckle positions. You did a great overhead video of the legs through impact which is v helpful…any advice on the legs from setup to the top of the backswing? Yes, this can affect the path. If you turn your hips too much going back you will not build torque. No torque means you will hit with your arms. 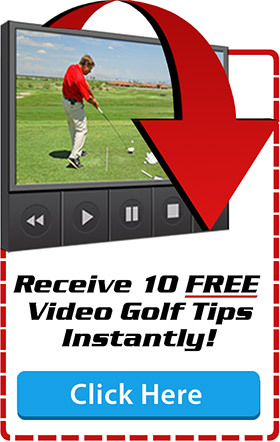 Hit with your arms and you will tilt left in the downswing. If you shift going back (I am assuming you mean sway) you will not build torque either so you will use your arms. You certainly are a prolific tip machine. I definitely feel I get my monthly fees worth of information. Thanks for your tireless commitment. I’m working with Pete on a video lesson and we are off to a great start. He has got me going back to basics. I have a question for you. I broke out your book as a refresher for the proper backswing (btw kudos, I forgot how good the descriptions and pictures are). When I follow your backswing path to the letter, there is a tremendous amount of tension built up in my back and shoulders. I can do that, but now after all this torque is built up, I got to swing easy?? It’s like letting a lion out of a cage. How do I release it slowly? This tension works great with the longer clubs, but it does not lend itself to a graceful easy iron shot. How do I modulate the torque to be commensurate with the shot I want to perform? Right now I got 100% or nothing. When I first started doing tips I was worried because I only had a list of about 30. Even after all these my list is around 700 still and growing. So right now I am not running out of material but I might do a few new things in the very near future. Just trying to figure out how to do it. Glad you liked the book. Every time I go through my products I realize they lay it all out in an understandable manner. I could add to them but I would not change them in any way. I would think you are just not experienced enough yet to tone it down. 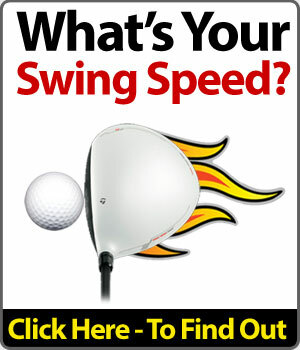 Try not forcing as much torque in the backswing too. As soon as you feel some torque go the other way with the lower body. I get the feeling you are cranking it too much. Really appreciate all your help. What is great with your method, is that you not only help us improve, but show and explain, why we do what we do. There is nothing worse, than hitting a bad shot, and being left with that empty feeling of not having the faintest idea of why that occurred. You take the guess work out of things. Can I please get your advice on this? Your tips on body tilt and affecting direction have been gold. My poor shots under pressure have been pulls. And sometimes to prevent this, I like to focus and sense in my practice swing , I am tilting away from the ball, and also have my head behind the ball at impact. However, I find when I do this, and when I even do a practice swing (where I touch the knees and touch my head), I find that having this overriding emphasis with tilting slightly back, and having your head back a bit, does promote me leaving my weight on the back foot. This then results in weak push fads to the right and sometimes topping balls. Whereas , when I just focus on “touching my knees, touching my head, and ending on my tippy toes” 99% of the time, it’s a much better shot. I know a lot of what determines your shot, is what you last focus on. So if I am thinking of staying behind the ball or tilt away from the ball, I will usually not properly transfer my weight onto the front foot. 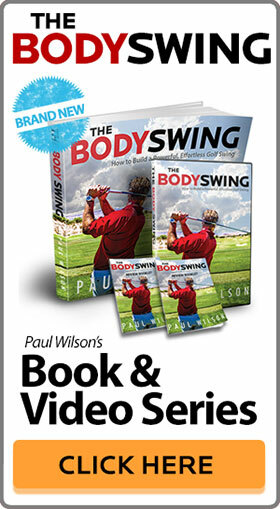 My question is, would you recommend continuing to keep it simple, and just do a practice swing and focus on touching your knees, touching your head and ending on your front foot ( knowing full well, that if you do focus on touching your knees and initiating your downswing with your body), this will naturally cause your body to tilt away from the ball, and subsequently have your head behind the ball? Whereas, if make my last thought about staying behind the ball, or tilting away from the ball, will typically result in me keeping my weight on my back foot, and hitting a poor shot ( as I have learnt from your tips that we can only take in so many swing thoughts in a fraction of a second). Glad you like the tips and the way I explain the swing. I hate guess-work. I guessed for over 10 years. Not a good feeling when you have no clue what you are doing. You are manually staying behind the ball until you get the feeling of staying behind it. Once you get this feeling you never think about it every again. What should be causing this is the driving of the lower body. It is like hitting the accelerator on a car. Do the leg drive quick and the upper body will hang back. I tell the odd person to stay behind it if the are having trouble getting rid of the pull and driving the legs hard enough to get the backwards tilt I am referring to. I would think you have done this enough to stop thinking about it. Just keep working on the leg drive and you will get the tilt. Remember it is quick thought.